One of the most highly anticipated bikes in our 2017 trail test, the Intense Recluse didn't deliver. We couldn't wait to see how the stylish 140mm bike compared to the others, particularly the similar Santa Cruz Bronson, and wasted no time getting it out on the trail. The Recluse is nimble, with sharp steering, but it tracks poorly, and its suspension is shockingly harsh. While we like riding it in some circumstances, and it's definitely the best-dressed bike in the test, its unsure descending skills and sluggish pedaling performance didn't come close to keeping up with the other bikes. The Recluse just doesn't come together as a whole. That magical alchemy that animates several of the other bikes, livening up the Bronson and the play-ready Ibis Ripley LS, is absent. The Recluse is a fair bike for dialed back downhill laps or a mellow trail half-day without much climbing. 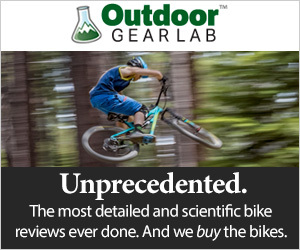 Given our far superior experience on the other bikes in the test, however, we can't recommend the Intense Recluse over your other options anywhere on trail. The beastly Bronson or playful and well-rounded Canyon Spectral are far better options meant for similar, aggressive-trail applications. The Recluse Pro has seen significant component changes and price adjustments since we published our review. Therefore, this review is outdated. Six testers raced six bikes through our detailed benchmark time trial and review process that's been two years in the making. We bought the Intense Recluse and raced it against the hard-charging 2017 Yeti SB5.5, supernaturally playful 2017 Ibis Ripley LS, balanced 2017 Santa Cruz Bronson, straight-laced 2017 Pivot Mach 429 Trail, and silly fun 2017 Specialized Stumpjumper 6Fattie. After three time trails and six weeks of testing, we rated their relative performance on the trail. Then we rounded up every trail bike we've tested and ranked them. This is fun, just not as much as it is on more confident bikes. When launching rock drops the heavy feeling front end dove back to the ground like it was scared. Even on the smaller hits, the fork didn't initiate its travel very fluidly, leading to above average tire sidewall deformity before the stanchions started doing their thing (i.e. wheel jack). This kept us from feeling confident. Interestingly, it can be fairly predictable and stable in the air when sending park jumps. We think the difference is the entrance, the featureless ramp at the park doesn't distract your focus from lining up, loading the suspension and handling the bike in the air. It still has a bit of a twitchy feel even then. The Recluse is an MTB kinda good time on flow descents, and the accurate steering is a plus. It's just not as fun to ride as the other bikes in the test. We're grateful we were just speed dating. The Recluse had some fatal flaws in a field of extremely fun and capable trail bikes. We didn't trust it much to handle itself on the descents and poor pedal efficiency hurt it on the climbs. As a result, it performs pretty poorly in our fun factor. Fun on flowy downhill, the Recluse is a rough ride in the chunder. We really only like taking the Recluse down flowing trails, which is a crazy thing to say about a 5.5-inch travel bike. We make more mistakes on the Recluse because it shakes our confidence, especially at speed. As one tester put it, "it's not really a boss in the rocks." The Recluse's steering is remarkably sharp, especially for a bike with a 65-degree head tube angle, the steepest in the test. The edge of the grips translates straight to the tires, providing a more direct feel than the Bronson. The Recluse whips through tight sections of trail and is easy to push through those hard 180 degree corners that make most long and slack bikes feel sluggish. The problem arises when the terrain is less than buff singletrack. The smallest amount of trail undulation or rocky terrain can engage the harsh suspension and derail the bike, leading to poor tracking as the tires fail to remain in contact with the ground. The bike moves around so much that you have to fight back, resulting in weird swooping lines down the trail. In contrast, you could take your hands off the handlebars on the Ibis Ripley LS and it would hold your line, the Bronson also tracks better. As a result, the Recluse's precise steering doesn't amount to the effective handling of etiher bike. The bike's heavy front end wants to stay on the dirt. It's reluctant to pop over obstacles and angles your trajectory down on the drops. The Recluse feels front heavy, and despite using the very limited adjustment on this fork, we couldn't find the love. The alloy bars, stiff headtube and meh fork come together without confidence. The fork doesn't want to pop up and over obstacles, instead, it slams into rocks and pitches us forward. We're all hesitant to roll into an impact on the Recluse, some of us just dreading the hit and others feeling like the front wheel might tuck and toss. It doesn't help that the aluminum 760 mm Renthal Fatbar handles impacts like a tuning fork, sending the panging vibrations up to your bones. The less than cushy 2.3"Maxxis High Roller II tire choice, Mavic Mavic XA Elite Ultimate wheels (25mm inner rim) don't' help. The fork could probably use a volume reducer to ramp up the suspension later in the stroke. We bottomed it out a few times. This could help the struggling small bump compliance as well since we could likely run less pressure, lessening the force necessary to open the suspension up. For the downhill testing we ran the Fox Performance Float X2. It was recalled by Fox shortly before our uphill testing began. Intense offered us a replacement Cane Creek DB Air CS for $300, which we ran during our two uphill time trials. The recalled Fox Performance Float X2 and the Cane Creek DB Air CS that Intense replaced it with didn't impress either. The levers and rocker links of this VPP suspension in no way echoed the ride quality of the Santa Cruz Bronson. It lacked small bump compliance and the ability to deal with large features. We bottomed it out too. Not confidence inspiring, especially at speed, the Intense really made us work for our lines. It's not much fun struggling to make this suspension feel good. No matter what we did to the compression or rebound, we couldn't fix the firm/dead feeling. It can get through the more moderate chunder, but it's certainly not suave about it. Holding traction isn't a huge issue on the Recluse but the poor small bump compliance and wimpy tires didn't make the bike overly sticky. The Recluse's cockpit feels compact and rides small. This is interesting, as the measured reach and wheelbase are the longest in the test, at 440mm and 1,173mm respectively. (It also has the second tallest bottom bracket in the test at 343). The cockpit sets you up further forward and over the bars than the extremely neutral Bronson. This is great for leaning your way through flow trails but twitches up the technical descents. To counteract this, we find ourselves inching back to hide behind that 65-degree head tube. This reduces our pedal power though, which is most effective if you move forward on the frame. At slow speeds or in smooth berms the Recluse corners like the Santa Cruz Bronson, quite well. The mechanics of the turn on these two bikes are similar in these circumstances, except that the Maxxis High Roller II's on the Recluse don't hold traction as well as the Bronson's Maxxis Minions. The Recluse's overall lack of speed hurts it in the berms though. As it loses momentum, it starts to drift the face of the berm. When the trails get rocky, or the corners get flat, the Recluse doesn't work as well. The stiff front end digs in to your line, but, while the the rear end follows suit, it isn't as compliant. The Recluse only really shines in the short radius turns, but some of our testers got a tower-like feel from the Intense. It does have a lofty bottom bracket, measured at 343mm. As such the bike sometimes resists leaning into the corner, forcing you to steer it through. Overall, the Recluse didn't crush the descending portion of the test, coming in far behind bikes with similar travel. It's not that the Recluse feels completely out of control, but it's squirrelly, getting caught up on the trail more than the other bikes. The Recluse only shines on smoother trails. If all you need to do is swoop and roll through the corners, it's great. The bike's performance advantages on our technical descending course, which took an average of 3:24 min:sec. The Recluse feels slow, so you keep pounding on the pedals, even on the downhill. Our time trials bore this out, with the Recluse placing last on our downhill course were we raced it against the SB5.5, Ripley LS, Stumpjumper 6Fattie, Bronson, and Mach 429 Trail. Sharp steering finds the line but the rough suspension makes it hard to stick to. While its sharp steering is still appreciated, it's impossible to overcome the Recluse's sluggish pedaling performance and jostling suspension. We'd like a bike with this much travel to smooth out the trail as much as the Bronson does, because it is more efficient to climb a longer-travel bike with this type of geometry sitting down. That's too jarring of an experience on the Recluse. We all shared the blunt view of one tester of the Recluse on the climbs — "I put in a tremendous amount of effort to go slow." It's not terrible, but it is the worst we've tested. It's the slowest accelerator in the test and loses momentum quickly. It starts off with the same sluggish feel of the Specialized Stumpjumper 6Fattie, but the Recluse stays there, topping out at a modicum of speed. In contrast, the Stumpjumper will gain and hold it. The second you stop pedaling the Recluse you feel the bike slow down. We noticed some flex in the drivetrain, which is apparent at around 75% of power. The hub also felt slow to engage, affecting acceleration. Being the only bike in the test without the Eagle drivetrain helped us realize just how nice the Eagle is.We like this bike the most when you don't have to pedal it. It shines when you just need a few pedal strokes on a flow trail. The Recluse was the most sluggish pedaler in the test. There is an optimal pedaling zone way upfront over the bars where the Recluse feels much more efficient. But staying up there is tiring and throws off your steering. When you're out of the saddle to get pedal power, you're on the bike's nose, squirreling up the steering. You've got to counterbalance the unstable feel with your body; it's not something you want to keep up all day. If you ram a rock from here, you can get thrown too far forward, feeling like your waist is up against the bars and throwing your balance off. Since the bike settles your weight toward the front of the bike, you often have to rock back to keep traction on the climbs. It's subtle but noticeable. You don't have to do that on the Bronson. The Recluse's stubborn front end is hard to float over square stairs and it won't roll over or plow through them. To maneuver this bike up the hill, you have to pull up on that heavy front end at all times and hammer away at the pedals. When you do just pedal through a rough patch, even just fist-sized rocks, that not-so-plush fork pings around. You have to fight the bike a lot, wasting a lot of upper body strength just to keep the bike online. On the smoother climbs, the direct steering and fairly steep seat tube (measured at 74.5°) are comfortable. The Recluse's agile steering sets you up well for a turn, but subpar tires, rough suspension, lack of speed and tall bottom bracket don't always bring you through. This is not a plush bike. The boosted 150mm Fox Performance Float 36 fork hits hard on the climbs as well. On the rough uphill, the Cane Creek DB Air CS made the rear end feel even worse than it did with the Fox Performance Float X2. The rear suspension felt dead in open mode and stole power from the pedal strokes. It feels more efficient in trail mode, but then you get bounced around even more. The Santa Cruz Bronson does what we want the Recluse to on the climbs. The Bronson feels far more efficient in the open mode, with better small bump sensitivity. It bowls over the rocks without jarring you, whereas you feel every one of them on the Recluse. You can sit on the Bronson and spin, knowing that the suspension will smooth out the ride, not so on the Recluse. The Intense finished last on our 2:07 min:sec technical climbing course. On smoother climbs, it's not much better, inefficiently wallowing in the suspension and wasting energy while bobbing up the hill. The fork and rear suspension can feel they're fighting each other. Traction isn't flawless either. We spin out on occasion. The Recluse was the slowest climber in the test. The smooth climbing course took 3 min 24 sec on average. The Recluse's laboring pedaling kept it from beating any of the other bikes on our technical and smooth climbing race courses. Thus, it falls in last place in climbing speed overall behind the Mach 429 Trail, Stumpjumper 6Fattie, Bronson, SB5.5 and Ripley LS. The Recluse also comes in last for its poor climbing skills. The rear suspension uses pivots with a long wear life. It is easy to get hung up on how well a bike rides or how plush that new fork is. It is also important to consider the relative ease of difficulty of keeping that bike running smoothly. Certain suspension designs are more difficult than others to work on. The same is true of forks, rear shocks, brakes, and dropper posts. Find out more about the rankings below in our full trail bike review. Intense bikes use a dual link design with well-designed pivots. The bearing life is impressive and replacing smoked bearings is straightforward. The Fox suspension has longer recommended maintenance intervals than RockShox options and rates higher as a result. SRAM brakes are harder to work with than Shimano alternatives. We measured the Recluse, and here are the numbers. See the How We Test article for more info. Intense's JS Tuned suspension system is a version of the virtual point pivot (VPP) design used by Santa Cruz Bicycles with two short links rotating in opposite directions as the rear wheel moves through its travel. We didn't notice many similarities in the ride feel between the VPP Bronson and JS Tuned Recluse. We measured the medium frame Recluse in-house, finding a 440mm reach, 65-degree head tube angle, 419mm chainstay length that combine to create a 1173mm wheelbase. The bottom bracket is on the high side at 343mm. The fit was fine for everyone, feeling similar to the Bronson but the Recluse wasn't as well balanced. It also set us up a little further forward than the very neutral Santa Cruz. The Recluse cockpit can feel a little narrow, and somewhat tall with a high bottom bracket (343mm). The cockpit sets you up just forward of center, a little too far over the front tire for our tastes on the descents. We aren't overly impressed with the Pro Build on the Intense Recluse. The boosted 150mm Fox Performance Float fork is fine, but didn't work well with the bike overall. Fork and Rear Shock — We didn't love the rear suspension action with either of the rear shocks we tested, the Fox Float X2 or Cane Creek DB Air CS. The Fox Float X2 performance was fine — we don't think that's why the bike felt funky on the descents. The replacement Cane Creek for the climbing portion is not as good. There's not that much travel and almost too much adjustment available, most of it in an impossible position to use the Allen wrench it requires. The boosted 150mm Fox Performance Float is not a premium fork. The main difference between the Fox Performance fork and the more expensive Factory version is the damper. The Performance version uses the GRIP damper, versus the FIT4 found on the Factory version. The Factory version also has Kashima coated stanchions. Some feel that the black stanchions on the Performance are stickier, making the fork less supple over small bumps. The air spring is identical on both models, and the crown and steering tube are as well. The Performance version has only three clicks of dampening adjustment, and the Factory version has 22. Bottom line: The Performance has less adjustability, a cheaper GRIP damper, and is slightly heavier. We think the bike would feel a better with a Factory version fork. The price difference is $150. The super stiff head tube and aluminum bar also seemed to weigh the fork down, greatly impacting performance. That golden ring is a spacer between a non-boosted wheels and a boosted fork. The Mavi XA Elite Ultimate wheelset cost more than others in the test without offering significant performance advantages. The 2-cross straight pull spokes are fine, but we don't find them necessary, and it's harder to find replacements. We prefer standard J-Bend Spokes for ease of service and availability of replacements. We didn't complain about the wheels' performance. The steering is certainly sharp. We would just prefer the extra money spent to spec a more adjustable fork than somewhat impractical wheels. The bigger deal to us was that the wheels aren't boosted, but the frame and fork are. They used spacers to bridge the gap. While it's nice that the frame and fork were boosted, some of the function seems to be lost without setting up the bike with a wider, stiffer wheelset. The Maxxis High Roller II 3C/EXO TR 2.3" mounted on 25mm rims aren't horrible, but they aren't good on our hardpack to sandy to rocky trails. They have a bigger gap between the center and corner knobs and pedal traction wasn't that good anywhere. They are extremely average feeling tires in our sandy and rocky terrain. Groupset — The Recluse runs a SRAM X1 Trigger 11-speed drivetrain, rather than stepping up to the newer 12 Speed Eagle group. We assume this is a cost-saving decision. The Eagle is a big upgrade over X1 11 speed. The shifting is crisper and smoother, especially as you move into the larger cassette cogs. In addition, the range of the 12-speed Eagle drivetrain is far superior. Intense made an effort to narrow the gear ratio gap with a 44-tooth E-13 cog. It still doesn't come close to the Eagle's 50-tooth inner ring. The E-13 cassette also shifts poorly compared to the Eagle, particularly when moving into that 44-tooth ring, pushing the X1 shifter past its design range. Considering the price of the Recluse, the drivetrain is unacceptable. The SRAM Guide RS with Centerline 180/160mm rotors are solid. The front can have a watery sound, and we tend to like an even 180/180 set. But that might have locked up because the tires don't have enough tread to handle it. The Fabric Scoop Radius Elite saddle is a little road bike-esque. Handlebars, Seat, and Seatpost — The RockShox Reverb Stealth is great, and we mostly liked the Fabric Scoop Radius Elite saddle. One of our testers thinks the nose is too long, more akin to a road bike than a mountain one, but it's not bad. Our hands did some damage to the Intense Dual Density Lock-On grips. The Intense Dual Density Lock-On grips are fine, kind of cool actually, taking some of us back to our BMX days. They're novel but wear quickly. We shaved them down quite a bit in seven weeks. The aluminum 760mm Renthal Fatbar handlebars are our big issue. The aluminum cuts into the comfort but its stiffness seems to add to the bikes wicked sharp handling. While the control feels pretty good, several of our testers felt like their hands were constantly hanging off the end of the handlebars, they'd want longer bars. Make 'em carbon while you're at it. The aluminum bars contribute to sharp handling but transfer the hits from the tires right to your triceps. The Recluse isn't horrible to ride, but for $6,999, plus $300 for the replacement Cane Creek DB Air CS, it's not a good deal. It's the second most expensive bike in the test, the most expensive if you count the new shock in with the price, coming in at $7,299. For that price, you could get the award-winning Yeti SB5.5 or Ibis Ripley LS with $250 or $700 to spare, respectively. If you're choosing between the Intense and the Santa Cruz Bronson it's a no-brainer. Save $700 and get a far superior bike with the Santa Cruz. The Intense Recluse can be fun a bike on flow trails, but it never fully comes together in the chunder and it has the worst pedal power transfer of any bike we've tested. Again, if you have your heart set on this style of aggressive, 27.5 trail bikes, just buy the Bronson. We'd also steer you towards the Yeti SB5.5 if you can stand to roll a bit slower on the mellow climbs, want to hit the bigger descending lines and climb mountainsides in a single day. Get the Ibis Ripley LS if you love to play. Still, the Recluse can be fun until you have to pedal. The Recluse's steering is striking; the rest is meh.